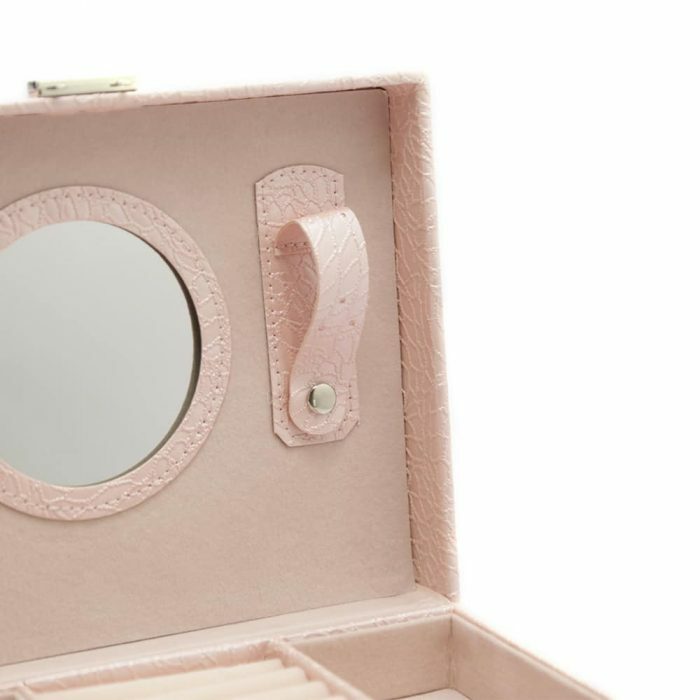 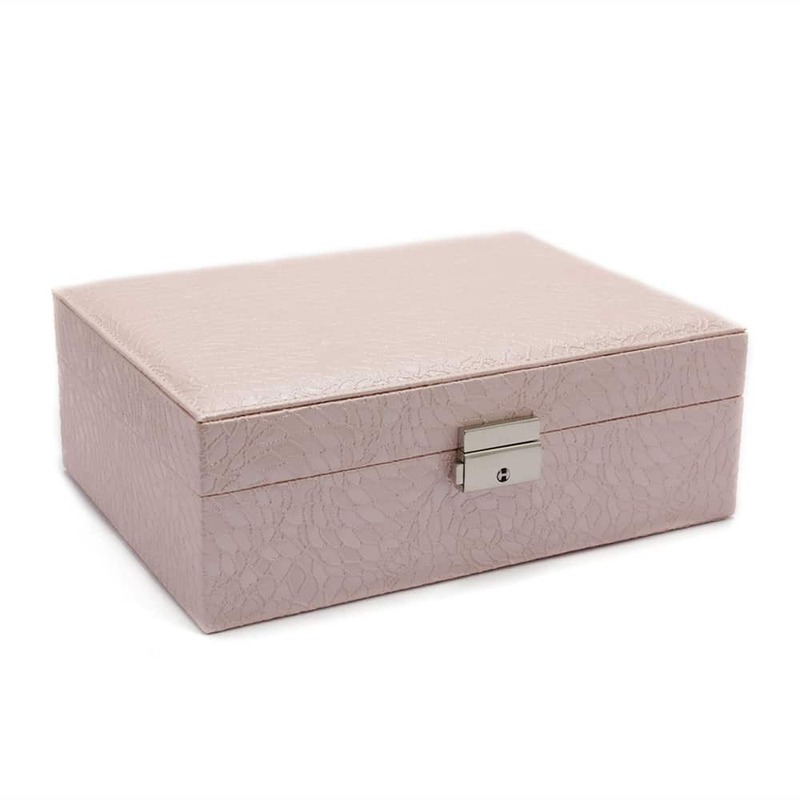 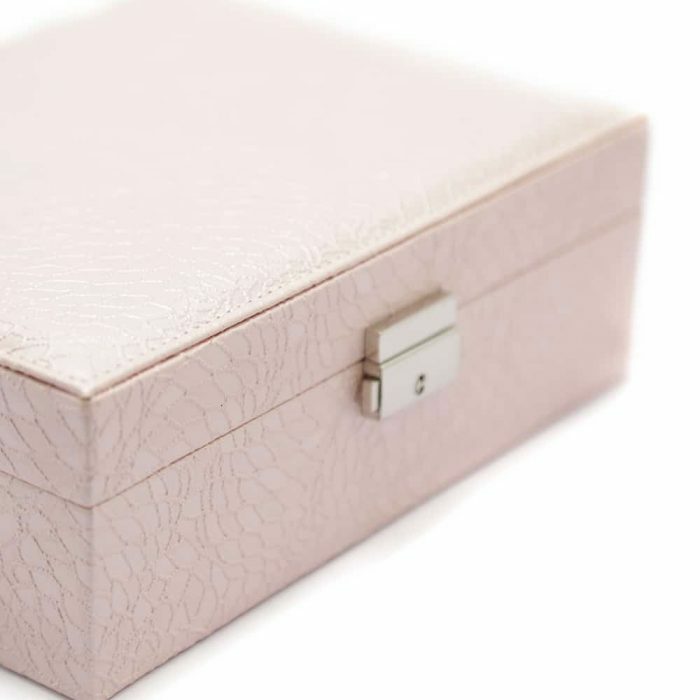 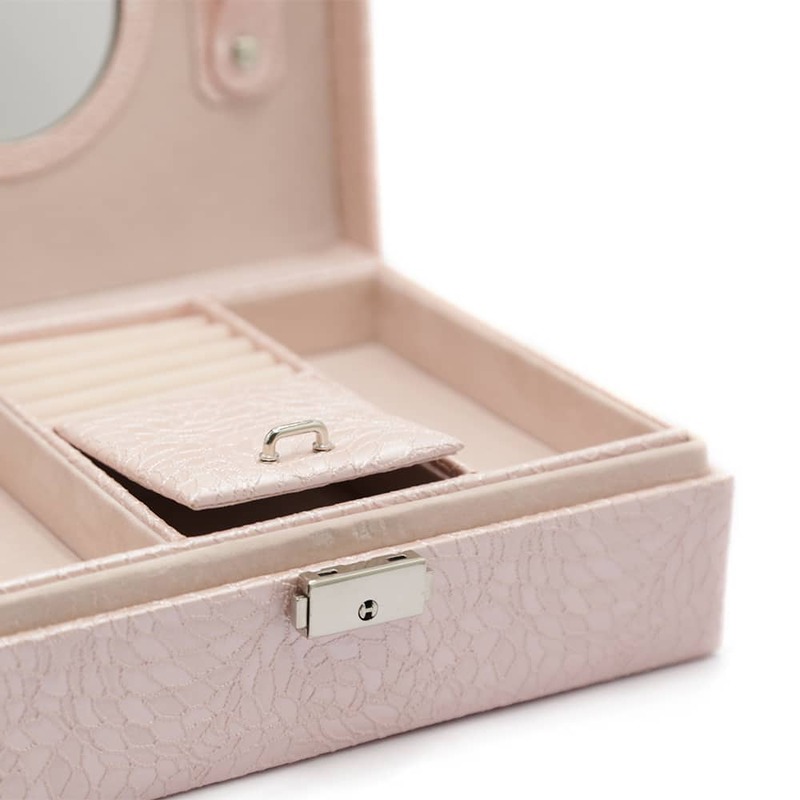 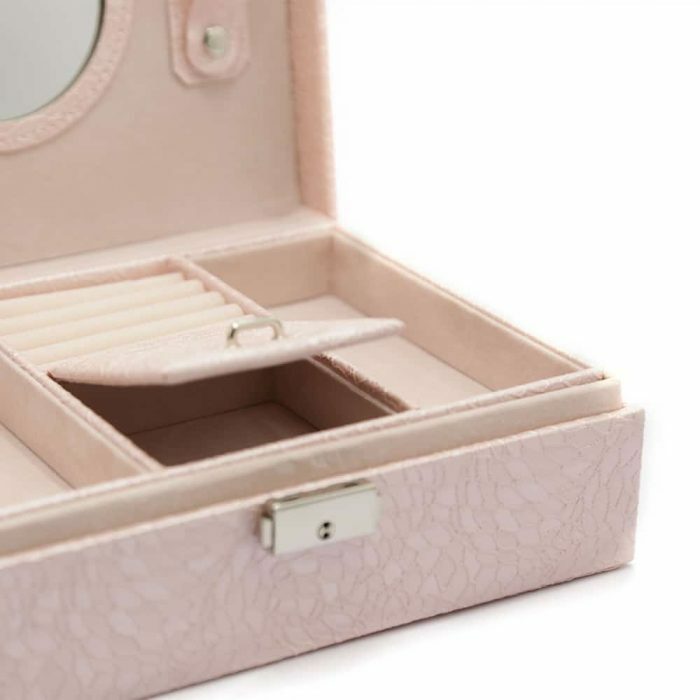 This Pink 2 layer Textured Jewellery Box has a stunning exterior with a light pink textured look which perfectly matches the high quality light pink velvet interior. 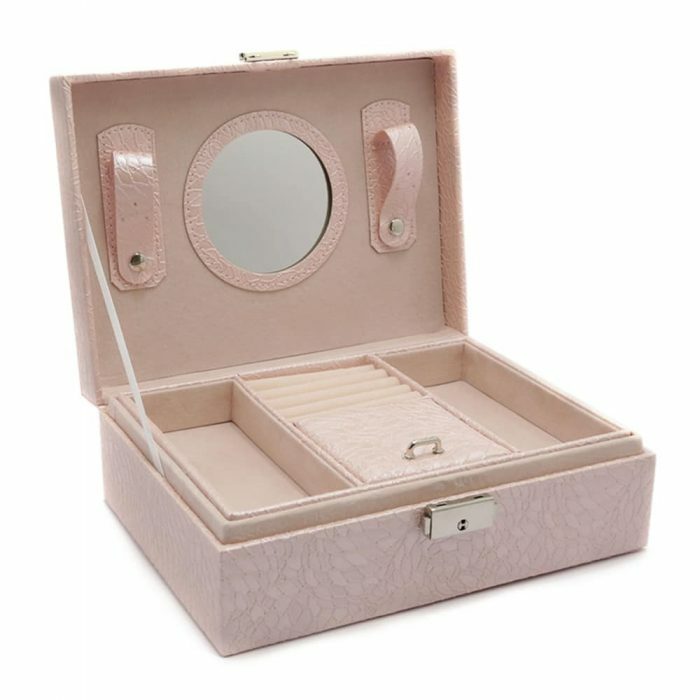 The lid has a large round mirror with 2 large clips beside it to hold your larger valuables securely. 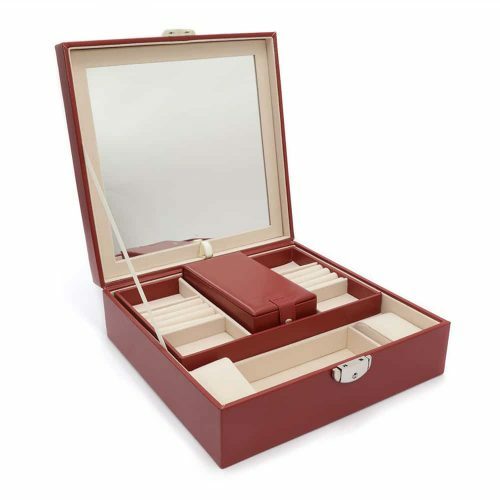 This watch box has two layers. 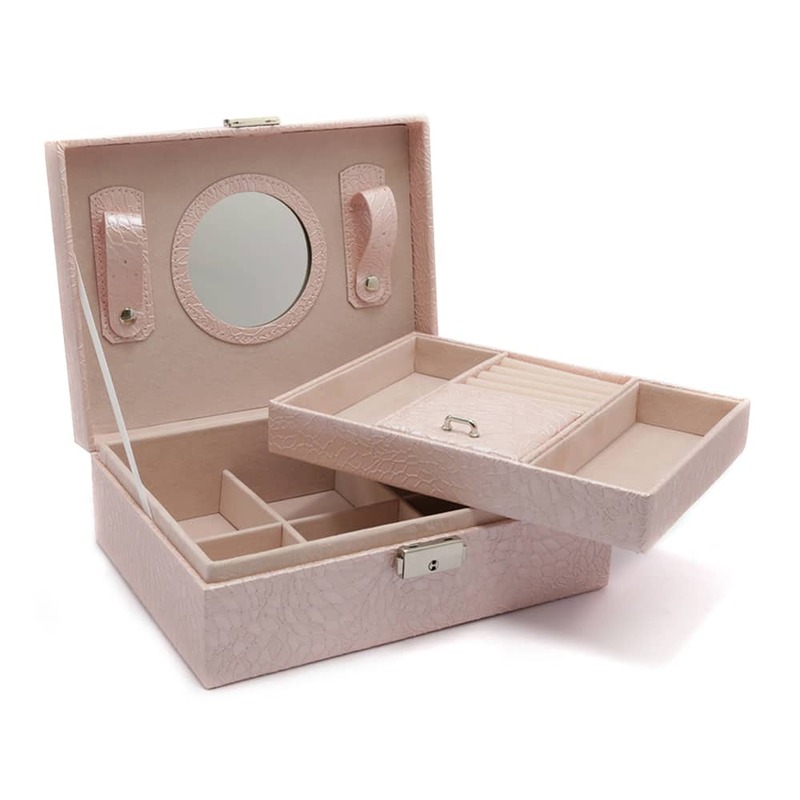 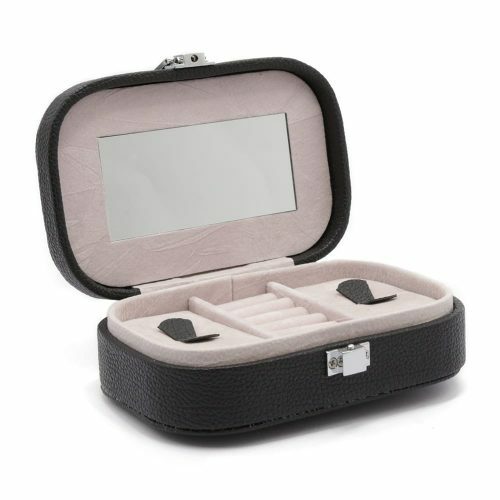 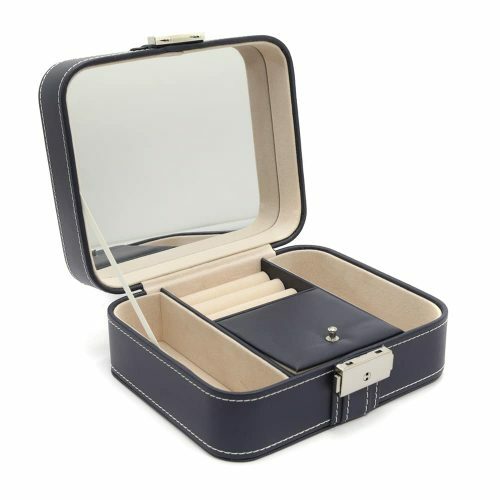 The top layer has 3 compartments, two large ones perfect for storing jewellery, bracelets, necklaces and small cosmetics. 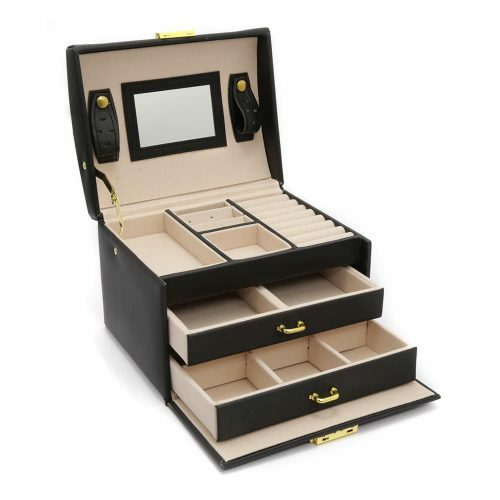 The middle layer is for rings and a door to hide and store other valuables. 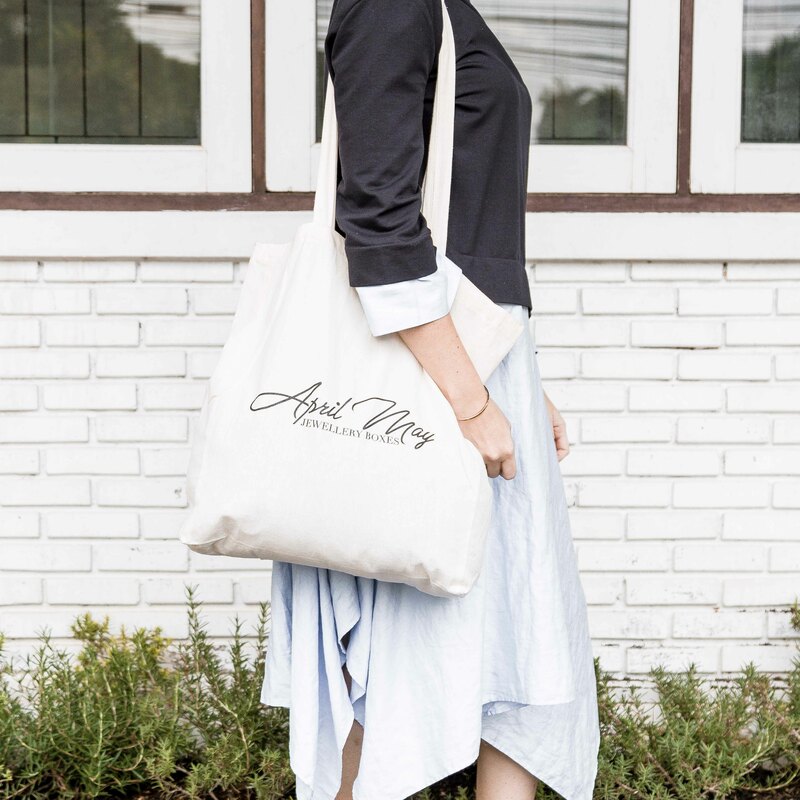 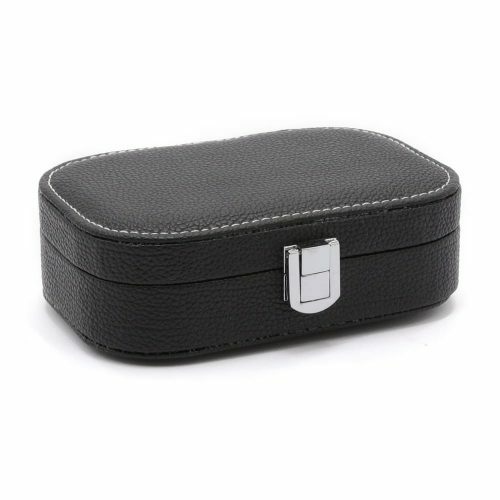 The second layer has 6 large square compartments hidden by the top layer to keep your valuables tangle free and safe. 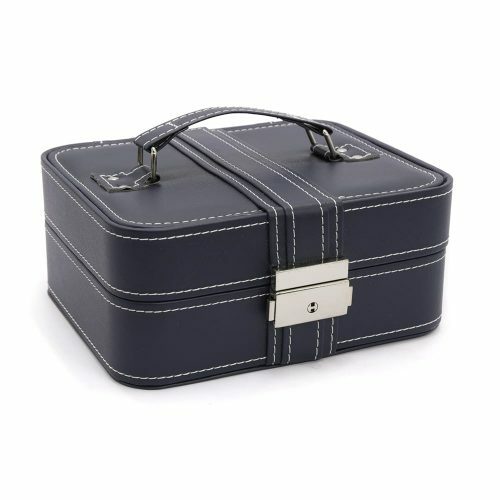 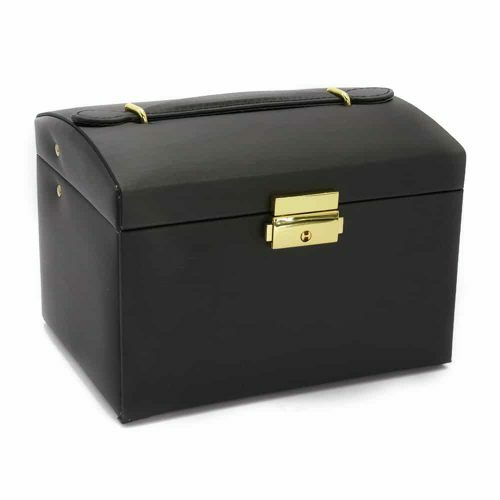 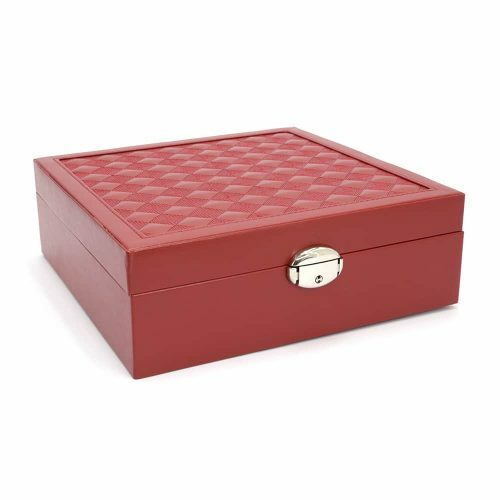 This box also has a silver lock and key making you feel secure if using this box for traveling or storing your precious jewellery.